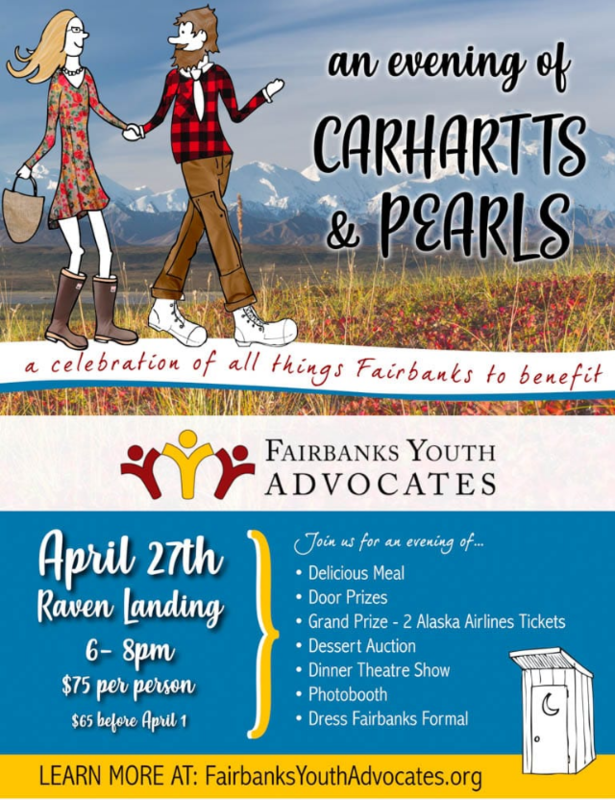 Carhartts and Pearls is a night to laugh and celebrate our unique northern lifestyle while benefitting the youth served by Fairbanks Youth Advocates. Bid on the exclusive outcry auction item and drive away with your very own Alaskan Outhouse! Grab your partner and come for a night out. Dress up, dress down, dress “Fairbanks Formal” with your Carhartts and Pearls!